Subscribe to our quarterly newsletter to have the most up-to-date information on upcoming events. Join us at the Oakmont Public Library. In a world that sees death as something to vanquish, the 45-minute documentary Living While Dying presents an alternative: people living with terminal illness who greet the inevitable with courage, humor, creativity and acceptance. Though the subject is difficult, the film is surprisingly uplifting. In Living While Dying, filmmaker Cathy Zheutlin sets out on a brave quest to face mortality. The new film will be screened in multiple cities this spring. Every screening is followed by Q & A with facilitators, and light refreshments. Join us at the beautiful Penn Forest Natural Burial Park for a day of food, fun, music and learning about the cemetery. There will be a potluck lunch, live bluegrass music by the Hucksters, cemetery tours, yoga with goats, and goat races. Please bring lawn chairs or picnic blankets, a covered dish to share, and good hiking shoes. 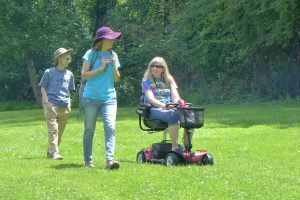 Penn Forest will provide hot dogs, hamburgers, veggie burgers, water and herbal tea. Please RSVP via our Facebook event or email laura (at) pennforestcemetery.org. 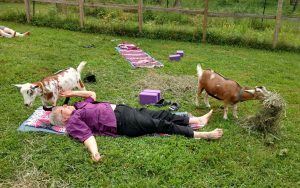 If you enjoy exercise or yoga practice in a playful and meaningful way, then Yoga with Goats classes at Returning Home Farm are for you! And for everyone else – all ages, all bodies, all skill levels (including no skill). If you’ve ever said “I’m not flexible enough to practice yoga,” or “I’m way too laid back for yoga,” or “I am not laid back enough for yoga,” those are three great reasons for practicing yoga with goats. Get all of the dates and details on the instructors, etc at the Returning Home Farms website. Dress in loose or stretchy clothing that you don’t mind getting hay all over (also, the goats aren’t house trained), and bring a mat and an open attitude. We do have a few mats to share. 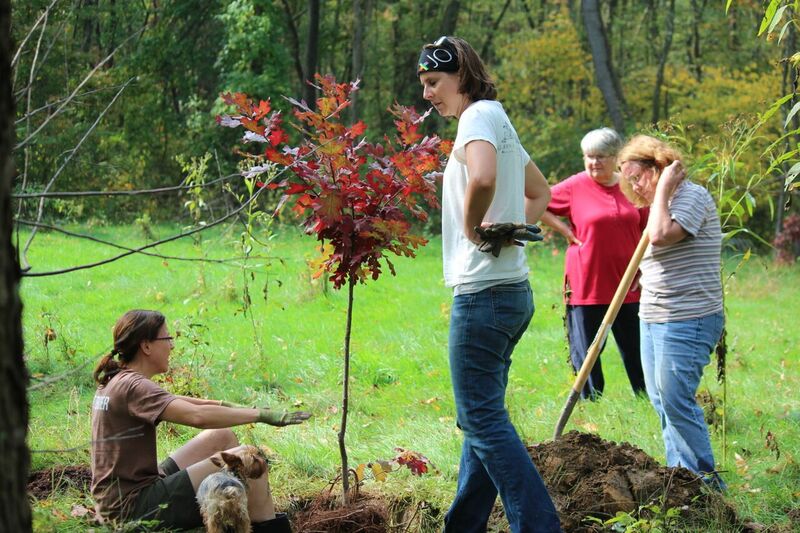 All classes are $15, or $10 for plot owners at Penn Forest Natural Burial Park. Classes are one hour with the goats wandering among us, plus 30 minutes afterwards to commune with the farm animals. Please park on Return Road opposite the barnyard, or in the Penn Forest parking lot. If the weather isn’t good for outdoor yoga, we’ll retreat to the barn, which can hold about 16 people. Send us a message to hold your spot. 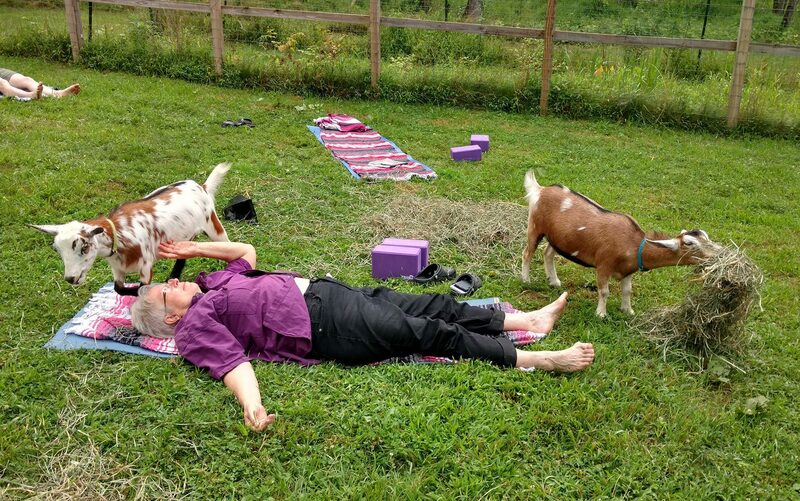 Learn more about Yoga with Goats and Returning Home Farms. Saturday, August 20th. Death Café at Penn Forest. Death Café is an international open community where people, often strangers, come together to talk about death, drink tea, and eat delicious cake! 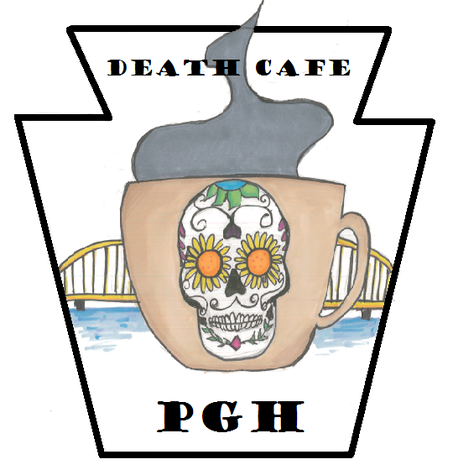 The next meeting of the Pittsburgh Death Café will be held August 20th at 6pm in the meadow at Penn Forest. In case of rain, the Death Café will take place the following day, Sunday, August 21st. You can RSVP for this event on Facebook or email deathcafepittsburgh@gmail.com. To get regular Death Café email updates visit Death Café Pittsburgh or to learn more: www.deathcafe.com. Saturday, September 17th. Tree ID Walk. Have you ever wanted to learn how to identify various tree species just by their leaves and bark? Here’s your chance. Join us at Penn Forest on Saturday morning, September 17th, at 10:00 am when Jerad Manzo, Urban Forestry Manager for the Nine Mile Run Watershed Association, leads us on an hour long tree ID hike at Penn Forest. Wear hiking shoes. Light refreshments will be provided. 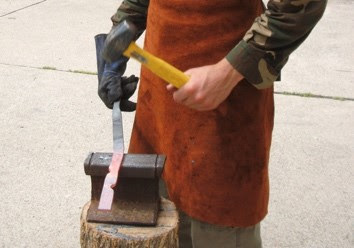 More “Blacksmithing for Beginners” Classes at Penn Forest’s Returning Home Farm. The first series of blacksmithing classes was completely subscribed, so Ben will be offering more classes. If you missed the first time, here is your chance to take the classes. Blacksmithing is the art of shaping and forming iron-based metals. Iron and steel are wonderful media because they are so prevalent in society, and so adaptable. The modern day smith is able to reclaim discarded pieces of metal and turn them into functional and beautiful items. All classes will be held at The Blacksmith Shop at Penn Forest’s Returning Home Farm off of Return Road in Penn Hills. The course is taught by local blacksmith Benjamin Barron of Darkbird Ironworks. Ben has been blacksmithing for almost three years and working with non-ferrous metals for over four years. He has studied with multiple instructors and is passionate about local production and sustainability. To ask questions or sign up, contact Ben at darkbirdironworks@gmail.com or 412-607-7656. September 20th, October 3rd, October 20th and November 4th. “Approaching the Unapproachable: Finding Peace in Preparedness”. FREE EDUCATIONAL SERIES open to the public. Family Hospice and Palliative Care and Home Instead Senior Care are partnering to offer this free educational program on important end-of-life issues. There will be four different workshops—attend any or all of them. All sessions will be held at Family Hospice Auditorium in Mt. Lebanon, 50 Moffett Street Pittsburgh, PA 15243. RSVP is appreciated but not required: contact Pat Ruma 412-595-7554 pruma@homeinsteadpgh.com. Saturday, October 1st. Annual Memorial Tree Planting. 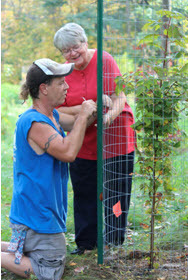 This year’s tree planting will be held on October 1st at 10:00 am. 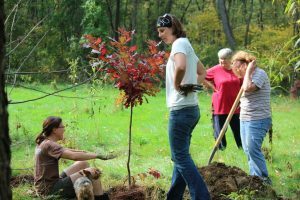 If you would like to plant a tree in honor of someone, please send Pete an email (pete@pennforestcemetery.com) and he will send you a tree order form. If you can’t make it on October 1st, you can still buy a tree, and we will plant your tree for you. In September, we’ll send you a reminder.